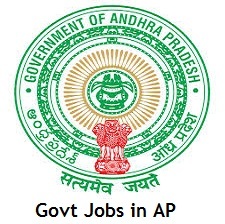 For other government jobs in Andhra Pradesh state, you can check our site sarkarirecruitment.com for more updated information as we update information very much often. DCH which is known as District Coordinator Of Hospital Services has not long ago released notification to fill up 12 vacant positions of Staff Nurse, Radiographer, CMO, Orthopaedic Surgeon in Guntur city. So, interested candidates can apply for these vacancies on or before the last date. and also we updated more information about these jobs like the Last date to apply, Start Date, Qualification, Salary, Experience etc.., /after checking them out interested candidates can proceed to apply for them if they are eligible for the post by satisfying all the criteria’s. We also advise applicants before applying to the posts to check carefully the official notification.Applications are invited from the candidates to be appointed on the contract basis. Candidates will be selected based on the merit and experience and performance shown in the interview. selected candidates will be placed throughout the district of Guntur like Special Newborn Care Units (SNCUs), Nutritional Rehabilitation Centers (NRCs) and New Born Stabilization Units (NBSUs) in Government General Hospital, Guntur, District Hospital Tenali, CHCs Repalle and Vinukonda Guntur District and Applications are invited for appointment on contract basis to fill up the following posts of Trauma Care Centre(TCC) in Govt. General Hospital Guntur, Guntur District. This will be a great opportunity for the people to get into the government sectors. Pediatrician – MD/DCH/ DNB from recognized University of Medical Council of India. Staff Nurse – General Nursing and Midwifery Course from Govt/Govt. recognized Nursing Institute and must be registered in the AP Nursing Council. Data Entry Operator – Diploma in Computer Application. Supporting Staff- 05th Class Pass (Only Female). Nutrition Counselor- M.Sc Food & Nutrition B.Sc (Home Science) or B.Sc (Any Subject) and Diploma in Nutrition and Dietetics. Female candidates preferred. Candidates who are applying age should not be less than 18 years and more than 40 years. Upper Age Limit relaxed by 05 years for BC/ SC/ ST. Candidates selection will be made based on their merit and performance in interview. Interested and Eligible candidates may submit their application form along with attested copies of all certificates, Convenor District Coordinator of Hospital Services, APVVP Guntur, Guntur District on or before the last date.